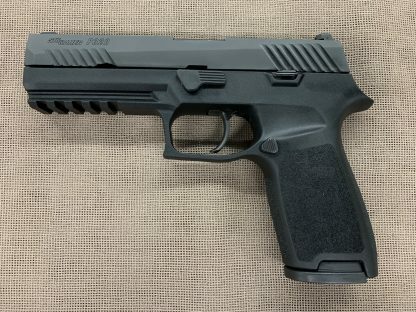 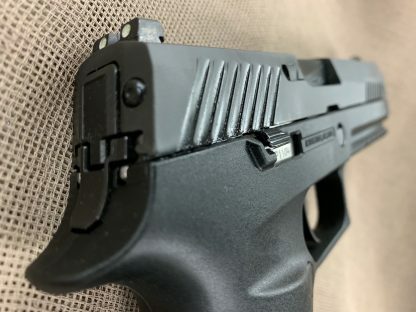 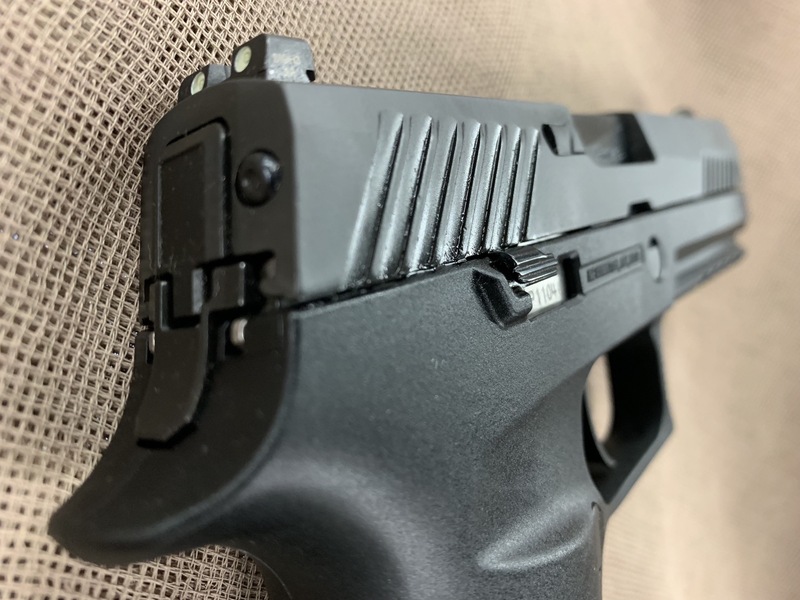 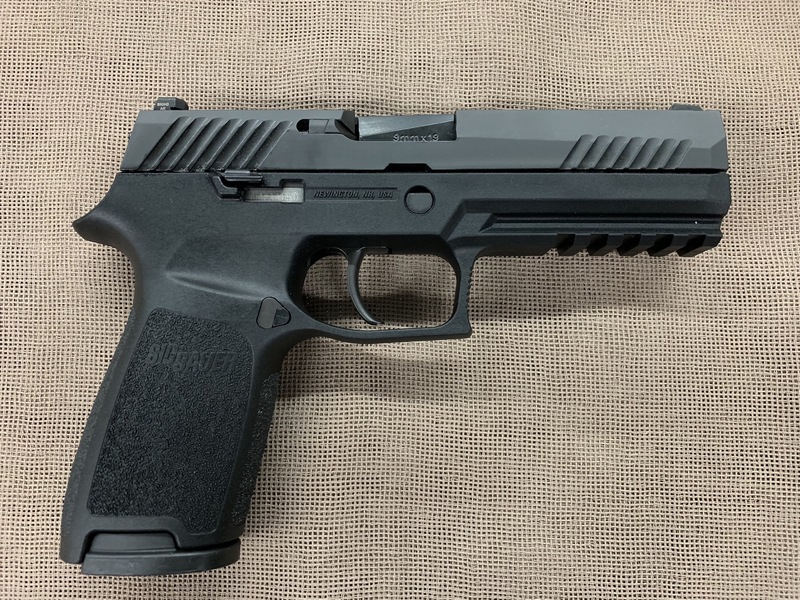 Used Sig Sauer P320 Full Size 9mm semi auto. 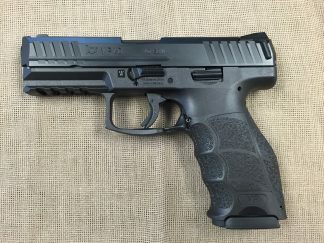 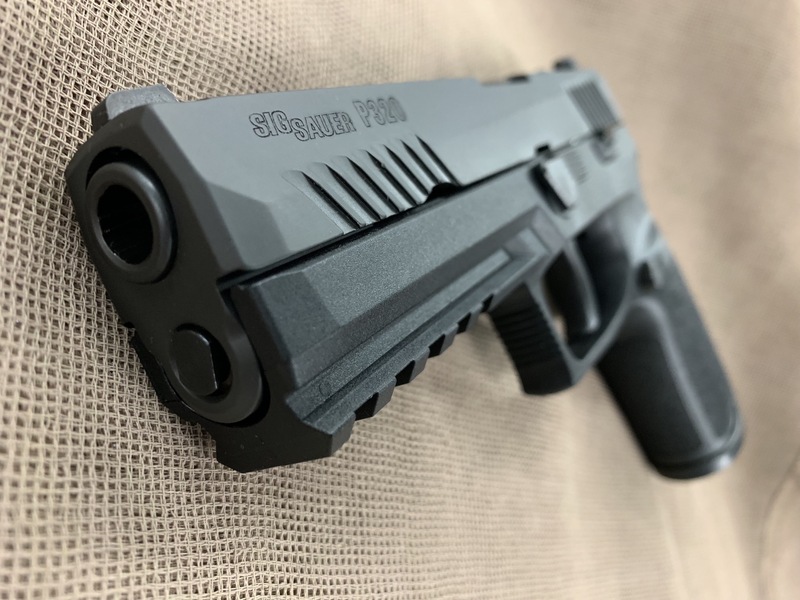 17+1 capacity, two magazines, 4.7″ barrel, new SigLite night sights, polymer frame with accessory rail, ambidextrous slide release, reversible magazine release, DA striker fired with light, crisp break, 29.4ozs. 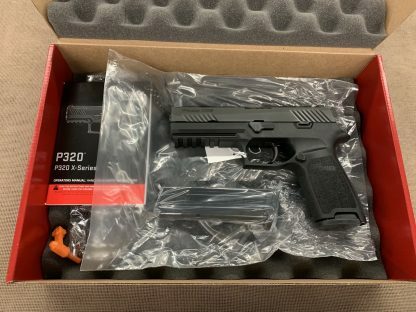 Just factory refinished and refurbished in as new condition, with box.